I feel like I've been on repeat regarding my reading material these passed few weeks... Still chugging on through my reread of the Harry Potter series. I've just started book number six - fingers crossed I'm finished by the end of the year! I've been having some thought on which book will be my 'First Book of the Year' with my line up currently including Lyrebird by Cecelia Ahern, Small Great Things by Jodi Picoult and also Swimming Lessons by Claire Fuller (which I have an ARC of)... Whilst I'd happily start the year on any of these titles, I'm leaning more towards Lyrebird as it seems to have become a tradition of mine to start each new year with Cecelia Ahern's latest release. 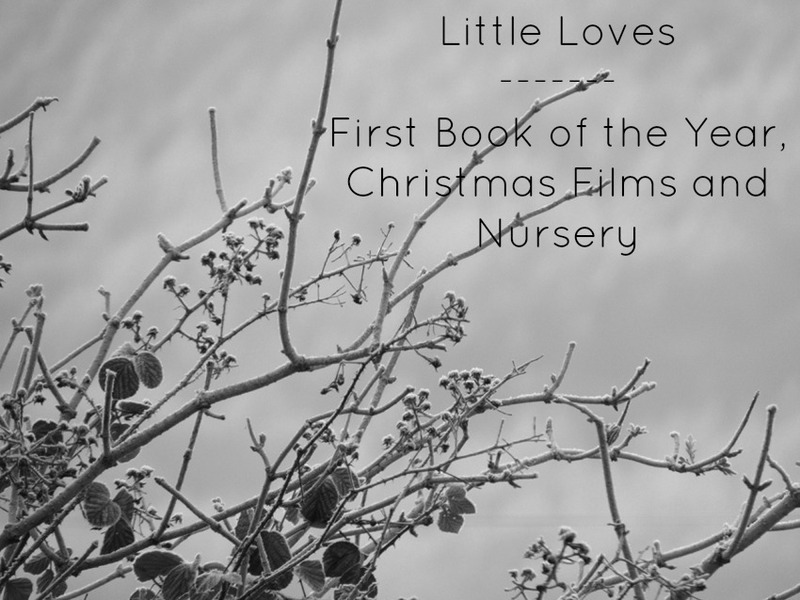 I've been watching Christmas films here and there for the last few weeks now, and I seem to keep forgetting to mention them here on Little Loves. So far I've enjoyed The Santa Clause, Jingle All The Way and Home Alone, with many more films to come. We have quite the Christmas Movie Collection, and we'll be watching a bunch as a family over the weekend and into the week. As well as Christmas films, Nathan and I have been watching the Alien Quadrilogy. Sci-fi isn't my kind of genre, but I do dip my toe in every now and then, and have actually really been enjoying these films - we've currently watched the first three but are keen to see where the overall plot takes us. Alexander had his settle session at nursery today, and it went really well - which I'm happy to hear! He didn't want to leave! There hasn't been a whole lot of making going on around here... No crafts and just the usual dinners on rotation. I have a made a goal, of sorts, to try at least one new recipe/meal a month in the new year. I was going to do one a week, but thought I was pushing myself out of my comfort zone a little too much there! We do tend to have the same fourteen or so meals on rotation, but I'd like to expand on that a little and try to make more use of my slow cooker. With Christmas just next week (madness! ), this will be my last blog post until after the big day itself. I'll of course reply to any comments made, and will be around on Twitter, but there won't be any new content going up. Wishing you all a wonderful Christmas - enjoy the festivities and treasure any time spent with loved ones! I'm still holding on to hope that I'll have HP finished by end of year - reading at every opportunity I get! It's so true what you say regarding the nursery setting. Thanks, and to you! It definitely does make the transition easier with nursery! I think nursery is going to be a great step for Alexander, and it'll be wonderful for independence... Well, as independent a 3 year old can be. Haha! I love Christmas films. I have watched so many. Some favorites are: The Polar Express, The Santa Clause, A Christmas Carol and How the Grinch Stole Christmas (both Jim Carey versions). Love all the films you mentioned - The Polar Express and also A Christmas Carol (Jim Carey one) are two of my all time favourites! So happy Alexandar settled at nursery that can always been a nerve racking time for parents and children. Clap, clap. I had great experience with my son but it was a nightmare for daughter so well done. Love love watching xmas movies during the holidays. Your books for the first book of the year are all on my list too. Let me know what you think! I need to reread HP books so badly I don't have them all in uk they are at my parents will have to get new copies I think. :) Just popping over and catching up on everyone's #littleloves. Hope you are having a lovely weekend. Happy Holidays. I wasn't too sure how nursery would go with Alexander as he hasn't spent that much time apart from me, so I'm glad it went so well! It'll be great for independence and he is really looking forward to starting in January, which will make the shift easier for the both of us. I'm so excited to delve into all three books I mentioned is this post - I've had my eye on them for a while now. I'll be sure to report back on them... I've heard nothing but good things about them so far. I hope you have a lovely week to come and a wonderful Christmas over in the states. Thanks for stopping by! We've yet to watch Arthur Christmas, but a favourite in our household too. Thank you! Have a wonderful Christmas! Such a fun film! I hope you have a very lovely Christmas! Love a good Christmas movie! We're planning movie marathons now my girls are off school.